Be the first to share your favorite memory, photo or story of H. Anita. This memorial page is dedicated for family, friends and future generations to celebrate the life of their loved one. Helen Anita (Dreesen) Bacon, 90, of Mansfield Center, passed away Monday March 4, 2019. She was the daughter of the late Adelbert Harry and Helen (Uren) Dreesen. She is survived by her son, Scott D. Bacon and his wife, Mary P. Bacon of Mansfield Center, and their daughters, Ann L. Bacon of Australia and Karen A. Bacon Rogers of Louisiana and her son, Mitchell W. Bacon and his wife, Audrey L. Bacon of Blackhawk, CA and their children, Michael C. Bacon and Leah Bacon both of Berkeley, CA and numerous nieces and nephews. Born in Willimantic, CT on October 19, 1928, she was a graduate of Windham High School in 1946, earned an AA Degree from Larson Junior College in New Haven, and went on to earn a BA from Eastern Connecticut State University in Willimantic. She continued her education by earning a Masters Degree from the University of Connecticut, Storrs, in the School of Education majoring in a duel track of Drug Rehabilitation and College Counseling. She completed further graduate studies through the Pennsylvania Consortium of International Education in Salzberg, Austria, and later earned further credits while attending the University of Indiana graduate program in Honolulu, Hawaii. In 1971 she joined the faculty at Mansfield State University in Mansfield, PA as Co-director of the Counseling Department. In 1973 she accepted a position as Assistant to the Dean of Student Affairs at the University of Connecticut. Two years later she became the Storrs Campus Coordinator for the Bachelor of General Studies Program in the then School of Extended and Continuing Education at the University of Connecticut. 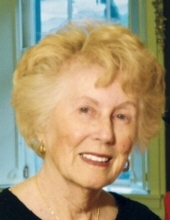 She was a National Certified Counselor as well as a member of the American Association of Counseling and Development; American College Personnel Association; National Vocational Guidance Association; American Association of University Women; National Rehabilitation Association; Connecticut Association for Counseling and Development; and the Connecticut College Personnel Association. Her work-related publications were “Career Development Through Volunteerism” and “Self-Directed Career Development.” She was inducted into Pi Lambda Theta, Phi Kappa Phi, Alpha Sigma Lambda and Zeta Tau Alpha where she served as an advisor. She was listed in the Who’s Who in the East, 19th Edition; The World Who’s Who of Women, 1984 Edition; and the International Who’s Who of Intellectuals, Volume Six. At various times during her life she was a member of the Mansfield Businessmen’s Association; the Joshua’s Track and Conservation and Historic Trust Association; Willimantic Elks Lodge 1311; the Sumtarville, Florida Moose Lodge; Commissioner of the Mansfield Housing Authority; University League; Women’s Club of Storrs, past president, 1990-92; and Justice of the Peace, Town of Mansfield, CT. She was a longtime commissioner of the Mansfield Historic Commission and a member of Mensa International since 1972. She was included in Personalities of America, third edition by the American Biographical Institute of Raleigh, NC for her service to the community. She was a member of the Shennecossit Yacht Club in Groton where she raced her small class boat for three years. She enjoyed flying, (she was a member of the 99’ers, the women’s flying club originally organized by Amelia Earhart), skiing, scuba diving, ham radio, and art, (she was a member of the Connecticut Women Artist Association). She was a member of the Medieval Society for Creative Anachronism. Travel predominated her retirement as she roamed the globe for well over twenty years starting with a year and half motor home trip alone around the United States and shortly thereafter a cruise around the world. While circumnavigating the globe, she spent time on the seven continents visiting well over one hundred countries, at times living with foreign families. She descended four of the world’s great rivers: the Amazon, the Nile, the Yantgze and the Colorado. Her travels also took her above the Arctic Circle in Finland and below the Antarctic Circle in Antarctica. Her website documenting her travels (hamhoghurrier.com) will be in existence for a few more months. In her at home retirement years, she spent many hours drawing and painting in her backyard art studio. She enjoyed attending local “cruise nights” with Scott and Mary, often driving one of Scott’s classic cars to a show. The Bacon family would like to thank the Staff at Vanderman Place for their care and compassion showed to Anita. To send flowers or a remembrance gift to the family of H. Anita D. Bacon, please visit our Tribute Store. "Email Address" would like to share the life celebration of H. Anita D. Bacon. Click on the "link" to go to share a favorite memory or leave a condolence message for the family.